Situated on the HISTORIC SIDE OF SEASIDE steps to the town square, playground, fitness center and 2 pools you will find the ''COAST IS CLEAR''. 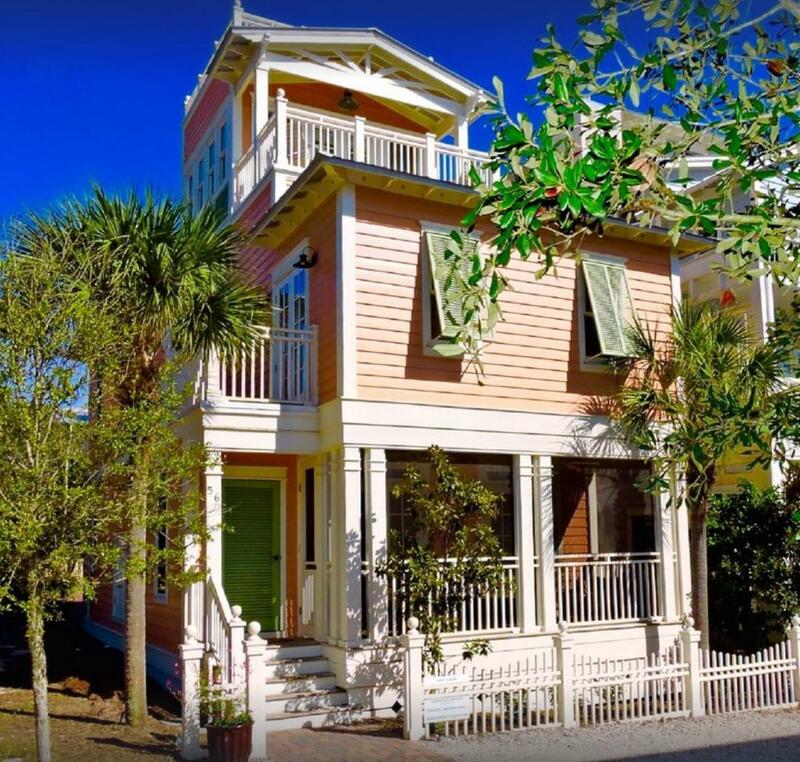 This home features 3 BEDROOMS, 3.5 BATHS plus SLEEPING TOWER and ROOF TOP LOUNGE and has been recently REMODELED and decorated to showcase everything that Seaside is all about. The FIRST FLOOR features a modern kitchen w/ quartz counters, stainless appliances, island workspace + bar area w/ wine frig. The dining includes a large table w/ wrap around banquet which can accommodate the entire family. The spacious living area has a cozy gas fireplace and tons of seating plus it opens out to the screened front porch which becomes a beautiful extension of the living space.